On Friday, June 6th, New Haven's Firehouse 12 will close its 2008 Spring Jazz Series with a two-set performance by New York bassist/composer Ben Wolfe and his working quartet. The group, which features saxophonist Marcus Strickland (Dave Douglas, Jimmy Greene, Roy Haynes), pianist Luis Perdomo (Ravi Coltrane, Hans Glawischnig, Miguel Zenn) and drummer Greg Hutchinson (Victor Goines, Jane Monheit, Dianne Reeves), will be performing original music from Wolfe's May 2008 release, No Strangers Here (MAXJAZZ). 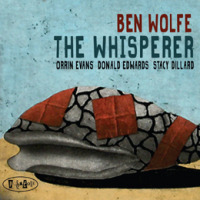 The New York Times' Nate Chinen called the Ben Wolfe Quartet a group committed to a jazz that's straight ahead but not straightforward" and the All Music Guide's Alain Drouot declared, There is no denying that Wolfe's compositions are imbued with elegance, resonating with a cinematic quality." The New Haven Advocate's Bill Carbone adds, stacked with his fellow mainstream jazz illuminati Greg Hutchinson on drums, Luis Pedermo on piano and Marcus Strickland on sax, the hard-swinging ensemble will most likely be challenging listeners' ability to not stomp and shout." 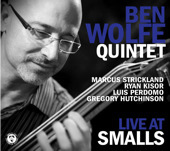 For the past two decades, Wolfe has performed and recorded with many of the most high- profile names in jazz, including Harry Connick, Jr., Diana Krall and Branford and Wynton Marsalis. He has appeared on nearly 25 records with those musicians alone, including Krall's Grammy-winning, When I Look Into Your Eyes (Verve). He also appears on releases from Carl Allen, Frank Kimbrough, Kevin Mahogany and Eric Reed among others. 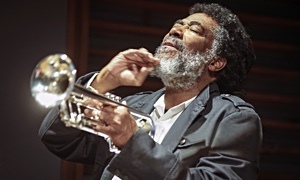 His own discography as a leader includes five CDs of original compositions and arrangements, including his ambitious 2004 release, My Kinda Beautiful (Planet Arts), which paired a jazz octet with an eight-piece string section. In addition to his work as an in-demand sideman and bandleader, Wolfe is a teacher at the Jazz Division of the Julliard School.